As part of its commitment to enrich the people’s live in the education area, Samsung Electronics, framed in its Corporate Citizenship core value, has established an alliance with the Technological Integrated Systems Laboratory (LSI-TEC) of Brazil. 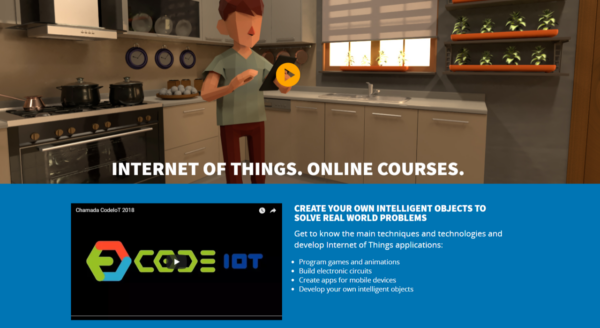 The aim is to develop the “Code IoT” platform, that will teach free courses of Internet of Things, codding, basic electronics, robotics and development of Android applications for any interested person. 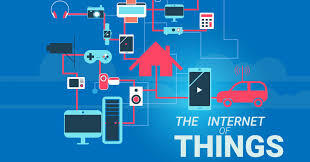 Internet of Things (IoT) is an issue that is increasingly present in the lives of people. We must not only connect groups of people through the Internet, but also people with their objects, from cars to refrigerators, washing machines and other white goods. In the coming decades, billions of smart devices are expected to be interconnected to data centers through wireless internet, interpreting information about the environment and interacting with the world. The courses last 6 weeks and will be taught in Spanish, English and Portuguese. Participants who complete all the proposed tasks will receive a certificate at the end of each course. The first to be given in English starts on August 20 and will be “Introduction to the Internet of Things”, where you will understand what is Internet of Things and how it works, and get familiar with the technologies that allow its developing. Then, on October 1 starts “Learning to code“, which will teach how to program with the Scratch language. The third course begins on November 12 and will be on “Electronics: basic concepts and components”. The courses, which are completely free, are intended for students and teachers of basic and secondary education. However, anyone interested in the matter can register. Those registered will have access to the content of the workshops after its start. The initiative is part of the Tech Institute of Brazil, Samsung’s program that offers the opportunity for young people to obtain technical training through free courses or scholarship grants and to help improve their chances of entering the labor market. The partnership with the LSI-TEC was announced in 2016 and Code IoT is one of the great fruits of that partnership. This technology of intelligent devices connected to users and data centers through the Internet will allow the optimization of various aspects of daily life in areas such as health, transport, agriculture and waste management. A specific example is a fridge enabled with Wi-Fi connection, like the new Samsung Family Hub models, which will allow the user to see their contents while they are in the supermarket and decide what they need to buy. Or use voice control through the Bixby intelligent assistant to facilitate daily tasks, such as requesting recipe suggestions based on the contents of the refrigerator. In turn, energy planners can obtain more nuanced data on the use of energy from different devices throughout the day to study or plan new energy supply or consumption projects for cities. Latin America can not be left behind in the knowledge and development of these new technologies, that’s why Samsung has bet on this initiative to expand knowledge about the Internet of Things, in order that people can, in the future, create their own intelligent objects to solve problems in your environment.